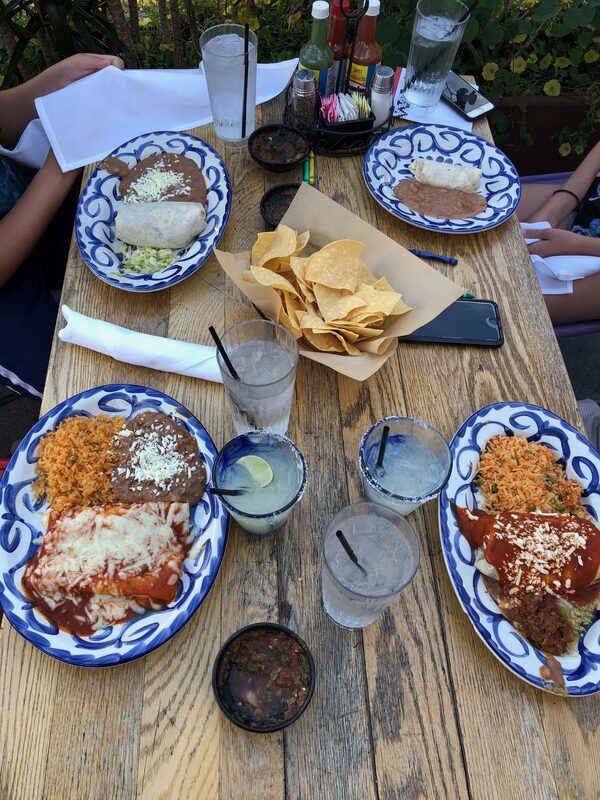 Being from Arizona, we consider ourselves pretty good connoisseurs of Mexican food. Each region of Mexico has a different taste and flair. 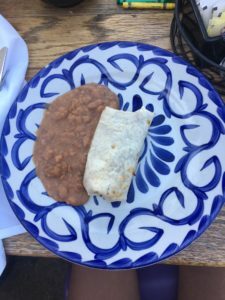 I’m not sure how to classify Tortilla Jo’s in Downtown Disney at the Disneyland Resort, – perhaps a mix of many regions – but I do classify it as REALLY good food! 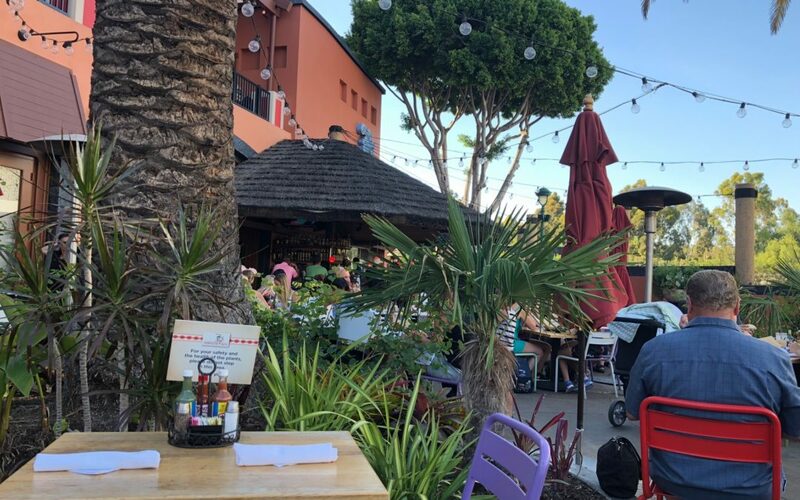 Most recently, we ate dinner on a warm July evening at Tortilla Jo’s. DIVA TIP!! Join the Patina Club and receive a $30 Gift Certificate for your birthday! 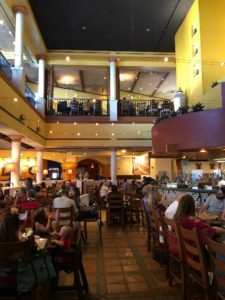 The Patina Group has several restaurants in Downtown Disney where this certificate can be redeemed, including Tortilla Jo’s, Catal Restaurant, and Naples Ristorante E Pizzera. I made reservations in advance on the Disneyland website, and a few hours before our meal, I received a text asking if I preferred indoor or outdoor seating. 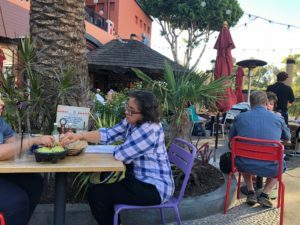 We chose outdoor for this meal as we knew the patio would be in the shade by the time of our reservation. 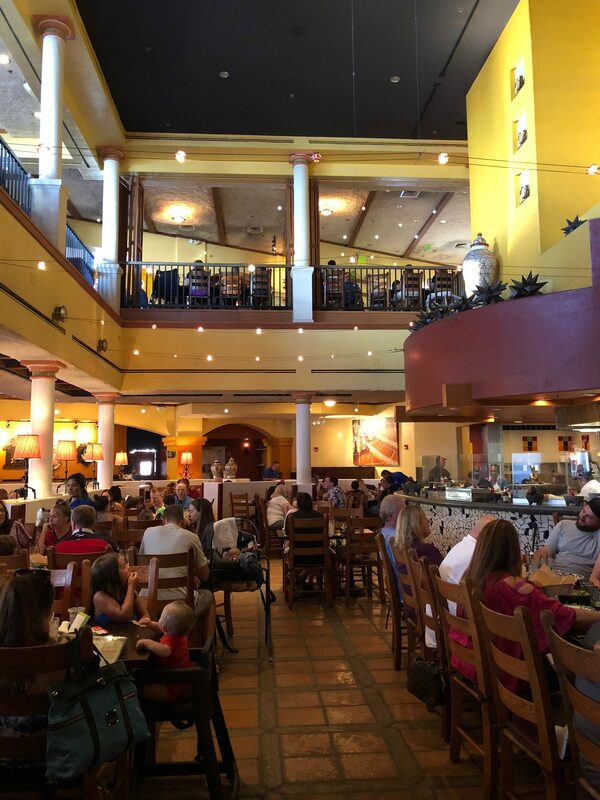 Tortilla Jo’s is HUGE and you have several choices on where you can decide to eat: the outdoor patio, indoors downstairs, indoors upstairs or at the cantina/bar. Larger parties will need to be inside as they cannot seat large groups on the patio. We have been as large as groups of 7 and are indoors when we are that big. Being Disneyland, you will find groups with small children and it can get quite noisy inside. It can be a bit confusing on which hostess stand is correct for checking-in. We went inside first and were redirected to the hostess outside. The hostess stand outside also takes names for walk-ins if you don’t have a reservation. We arrived right at our reservation time, but we have arrived early in the past and they usually can accommodate us relatively quickly. We were seated, chips and salsa arrived in short order, and then we had to tackle the wide variety of choices on the menu. We didn’t have any starters, but the table next to us ordered the Tableside Guacamole. This looked wonderful! It is made by your server with Haas avocados, onions, tomatoes, cilantro, chile serranos, lime juice or any combination of those ingredients for $14. Great addition to your chips and salsa! On this night, we dined on the Kids Bean Burrito, a regular Bean Burrito, a Shredded Beef Burrito, and a Platos de Combinaciones with two cheese enchiladas. We also had a Jo’s Casa Margarita on the rocks. This was a smooth, not too sweet, margarita made with Tortilla Jo’s own 100% blue agave tequila, fresh lime juice, and simple syrup. Tortilla Jo’s is known for their extensive Tequila Menu. If you aren’t sure what to order, try a Tequila Flight. Tortilla Jo’s is such a frequent stop of our, not just because we LOVE Mexican food, but also because it is so convenient! It is located about mid-way in Downtown Disney right across from Ralph Brennan’s Jazz Kitchen and next to Splitsville. It is open for both lunch and dinner, has a great Happy Hour from 2-5 pm on Monday-Friday, and they now have a 3-course weekend brunch! 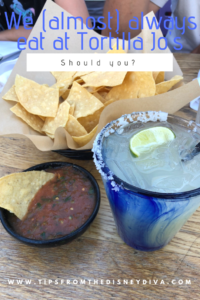 Should you eat at Tortilla Jo’s? If you are in Downtown Disney, love Mexican food, and a casual yet pleasant atmosphere, then yes you should! We eat here about every other trip that we take and have never been disappointed in a meal, find the service to be pleasant and timely, and the Margaritas to hit the spot. Would you like to dine at Tortilla Jo’s as part of your Disneyland Resort vacation and try one of those Margaritas for yourself? Be sure to contact Patricia at All for Dreams Travel! She can provide you with a FREE quote and make all the reservations you need! 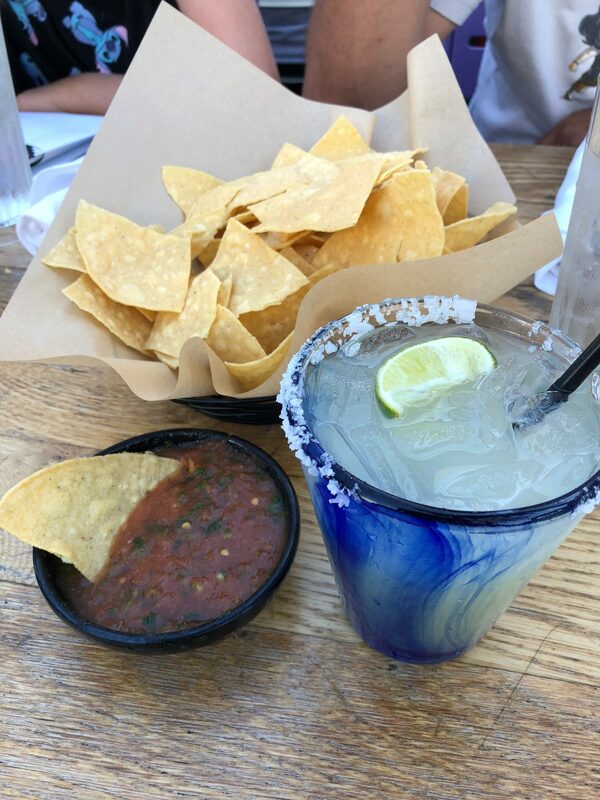 Chips, salsa and a Margarita! It must be heaven.